Scouting at 100 Years: A Modern Alternative | Federation of North-American Explorers | Semper Parati! Initiatives organized to mark the centenary of scouting (1907-2007), the educational movement founded by Lord Baden-Powell (1857-1941), were submitted on February 21 during a press conference at the headquarters of Vatican Radio. Father [now Archbishop -ed.] Cyril Vasiľ, a Slovakian Jesuit and federal assistant of the International Union of Guides and Scouts of Europe then intervened. Vasiľ’s father came in Italy in 1987, “a leak rather than an arrival,” he said humorously, referring to the Iron Curtain. He said he chose to focus on youth ministry in scouting as a result of one of the first meetings held in Assisi by scout groups. He was struck by these youth, kneeling in the mud, worshiping the Blessed Sacrament at night. Cardinal Ersilio Tonini, former archbishop of Ravenna-Cervia, said for his part that “the Church of today must now form different men from the past”; this is why children play a decisive role. 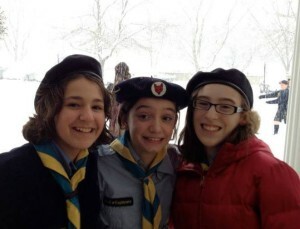 The International Union of Guides and Scouts of Europe – Federation of European Scouting (UIGSE-FSE) was established in November 1956 and currently has 60,000 young boys and girls gathered in associations “Guides and Scouts of Europe” in 19 European countries and Canada [and, as of 2011, the United States -ed.]. 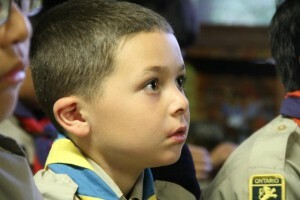 The Italian Association of Catholic Guides and Scouts Europe, founded April 14, 1976, aims to contribute to the religious, moral, and civic education of young people through the practice of the scouting method, according to the spirit of its founder and the tradition of Catholic scouting established by Father Jacques Sevin [now Ven. Jacques Sevin -ed. ], Count Mario di Carpegna, and Professor Jean Corbisier. The method adopted is that of inter-education, namely “education toward the other” for the constant maturation in relationships with others, or in the relations between people of both sexes. 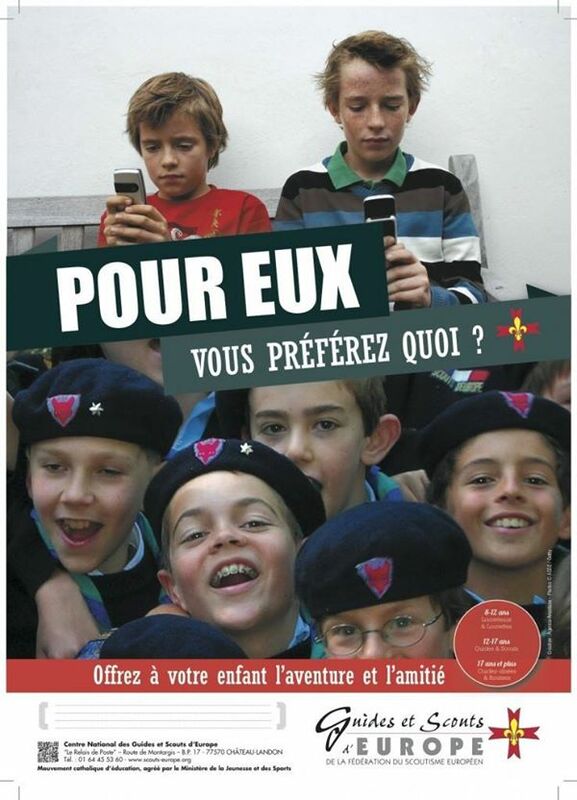 However, for educational reasons and according to the vocation of each, associations of Guides and Scouts of Europe welcome young people into separate units, with separate activities for boys and girls. However, they avoid the artificial separations and organize meeting times. The Association is composed of two sections, male and female, each covering ages 8 to 21, and each section is in turn divided into three parts according to age. After the age 21, the young people move into leadership positions. There are 38 million scouts worldwide. By letter dated June 24, 2003, the Pontifical Council for the Laity has announced its decision to recognize the UIGSE-FSE as a private international association of the faithful of pontifical right, and to approve the statutes ad experimentum for 5 years [the statutes received definitive approval in 2008 -ed.]. 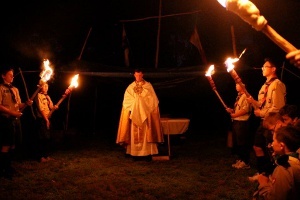 While being open to associations or groups belonging to the Eastern Orthodox Church or any of Evangelical Churches, the policy of the Federation of European Scouting is to not allow members of different religious confessions in the same unit. Translated from the French original at qe.catholique.org. An alternative version of this article (without the intervention of then-Fr. Cyril Vasiľ) can be found at ZENIT. To learn more about the Federation of North-American Explorers (FNE), the North American member association of the UIGSE-FSE, please visit our web site at www.fneexplorers.com, and contact our general commissioner Paul Ritchi at info@fneexplorers.com with any questions.